Maine is one of our favourite places to visit each summer. We usually RV our way up the coast to Mount Desert Island so we can visit the many breweries, farmers markets, fisheries and lobster pounds along the way and have somewhere to cook those awesome ingredients. The cookbook will be much used and the coffee is a lovely reminder of those misty Maine mornings. Mr. tcl is tinkering with the Google Home Mini as I type. Thank you and Merry Christmas! 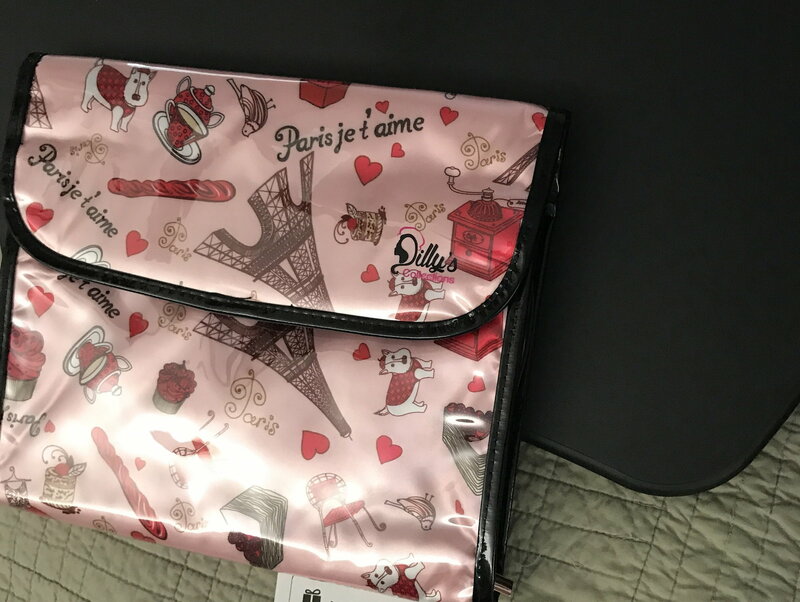 FT Secret Santa 2017 gift 2 (opened) from Rob. Mr. Kipper finally opened his present, which is the men's version of 12 days of socks. He is opening one pair each day, probably to drive me crazy. Just back from a road trip to my Secret Santa gift, and Santa really outdid himself! The food products all native to the DC area, also included a really nice historic card from DC. Glad everything arrived safely. Merry Christmas, hope you enjoy! When the elves read the bolded word above, it left a distasteful taste in our mouths. Sock / Sox. That's the team from BOS. 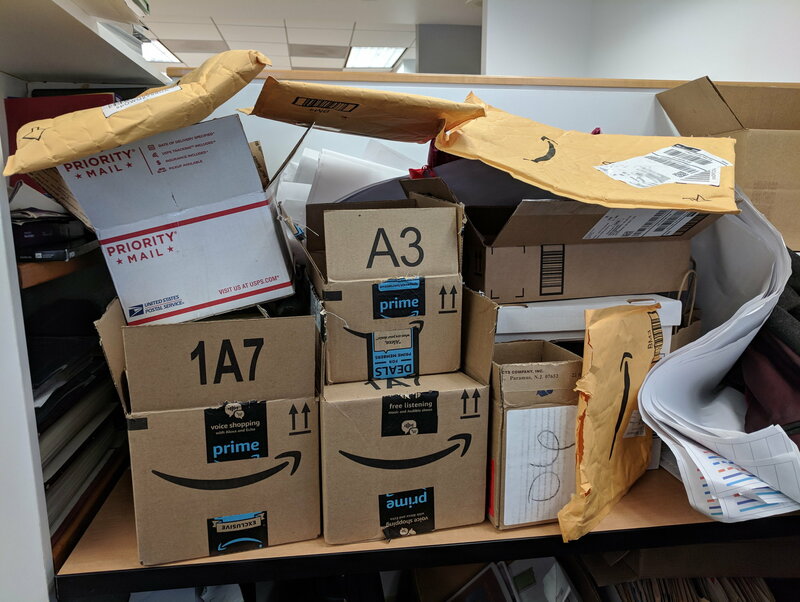 Got back to the office today after a few days out of town in chilly Wisconsin and some time spent with my family here in DC over the weekend to find a veritable mountain of packages sitting on my desk (which, on top of the not insignificant clutter already there, was quite a sight). I had forgotten to expect these, so it was a really wonderful surprise this morning. 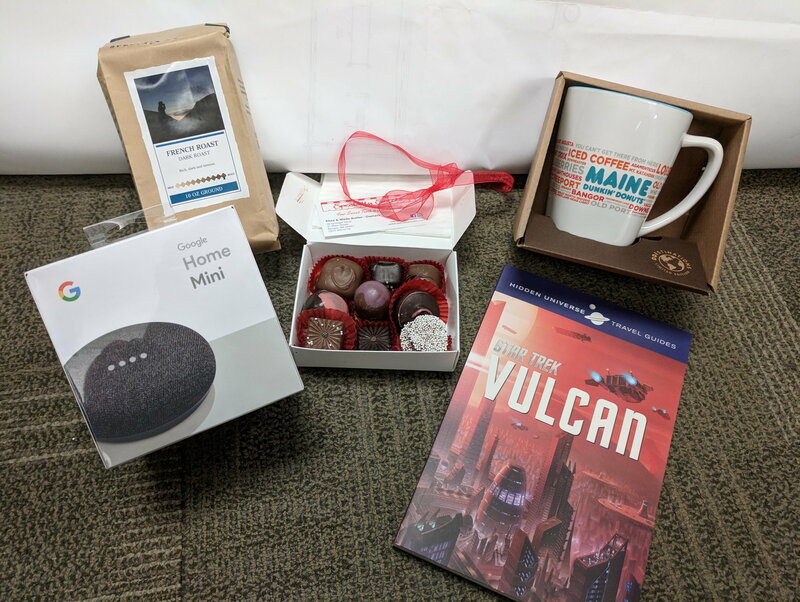 He also included a new Google home mini, which I'm excited to play with, and a travel guide to the planet Vulcan, which is not something I knew existed, or else I probably would have owned it already! The spirit and optimism of Star Trek really speaks to the same starry-eyed part of me that loves traveling and exploring new places, so I am going to really enjoy reading this. 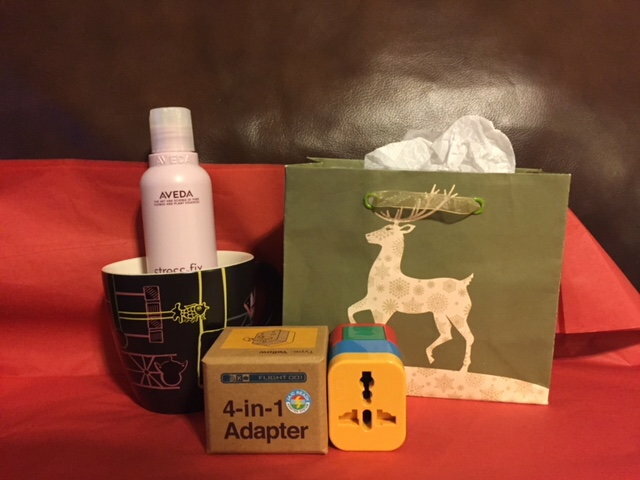 Thanks very much for taking the time to pick out such great gifts! Sorry for the low quality photos taken on the floor of my office cubicle. Thanks again to both of my generous Santas. I really enjoyed this, and hope everyone has a fantastic holiday season and new year! 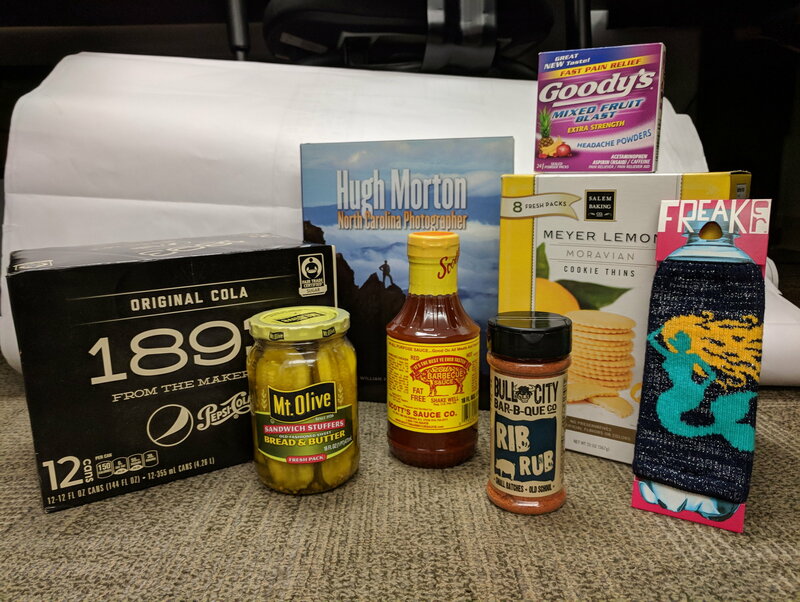 Just got back from 11 days abroad and found a cornucopia of goodies from my Secret Santa, who must have been travelling in Texas and Utah. 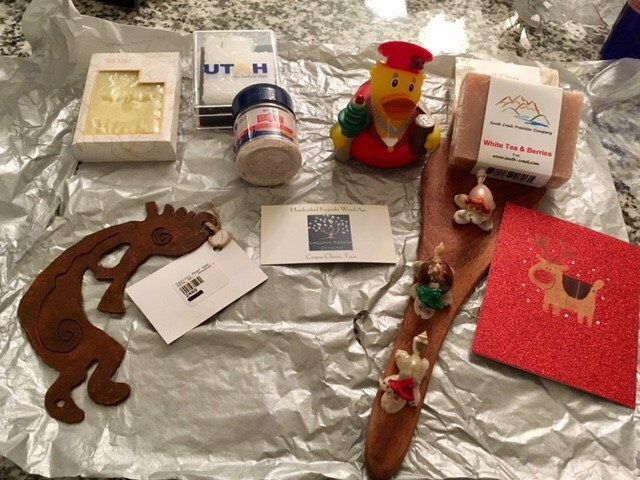 Goodies included 3 bars of handmade soap, cooking salt from the Great Salt Lake, a salt crystal ornament in the shape of Utah, a handmade wooden spatula (also from Utah), a Lufthansa ducky, a handmade Kokopelli (also from Utah) and a trio of shell friends. All lovingly wrapped. I am charmed! Thanks so much! Wonderful gifts were unwrapped yesterday! 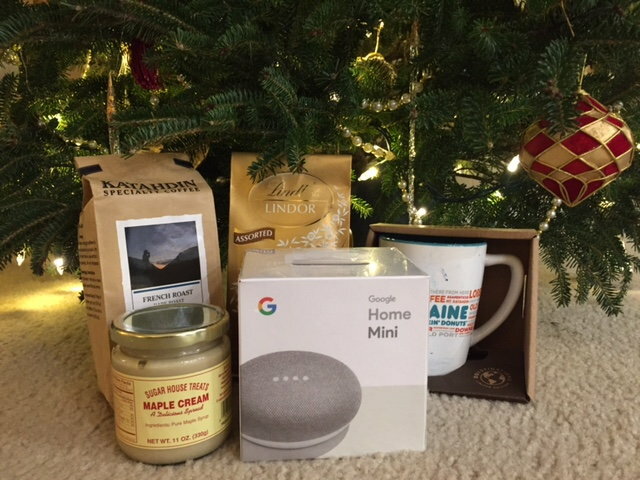 You provided a beautiful coffee mug and ironically Miss Chele ( other secret Santa) sent great coffee. Planning an international trip for the summer and the adapter will be joining me. My arms and legs are now soft thanks to the Aveda! Thank you so much for the lovely gifts! 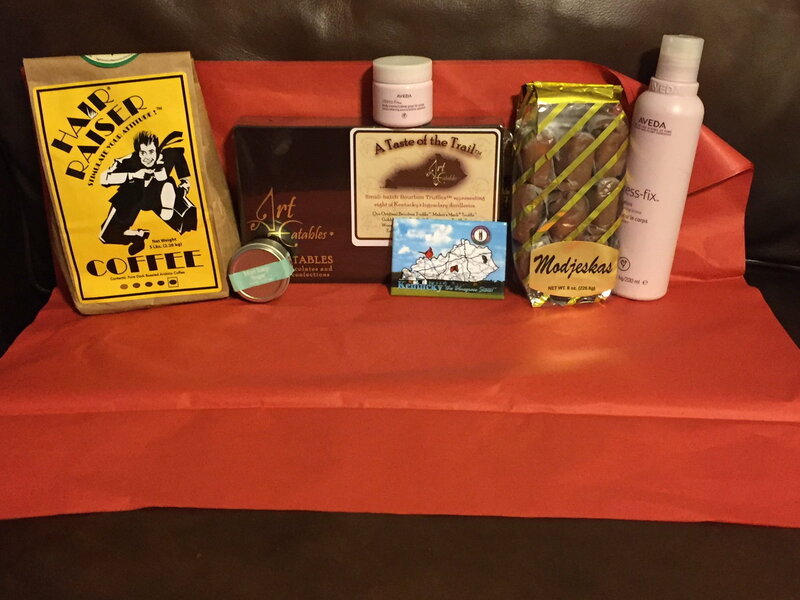 Received an awesome Louisville package- the chocolate is yummy! Tried your coffee this morning in a new mug from another Santa and loved it! Thank you for the local touches and adding my daily body butter. It is all appreciated, Thanks MissChele! kirkwoodj and MissChele like this. Glad everything arrived safely Lisabeth. Happy New Year! LOL, I may steal some of them. He said something about setting a good example and throwing out socks for each new pair he received. 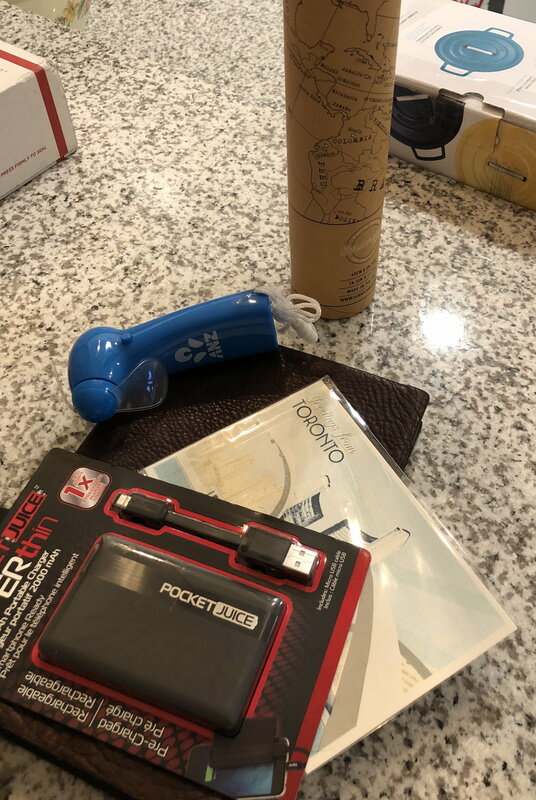 Just received my gifts from the Secret Santa. I especially love the pocket fan though still have yet to decipher what it says when it is turned on. Glad you liked everything! And I know how it goes with that chocolate -- it's so good! Man, it's been a while and I guess I forgot how to use FT :P See above!